The Fusiliers' Arch is a monument which forms part of the Grafton Street entrance to St Stephen's Green park, in Dublin, Ireland. Erected in 1907, it was dedicated to the officers, non-commissioned officers and enlisted men of the Royal Dublin Fusiliers who fought and died in the Second Boer War (1899–1902). The construction of the arch coincided with a time of political and social change in Ireland, and the colonial and imperial background to the dedication were anathema to a burgeoning nationalist movement – who labelled the structure "Traitor's Gate". 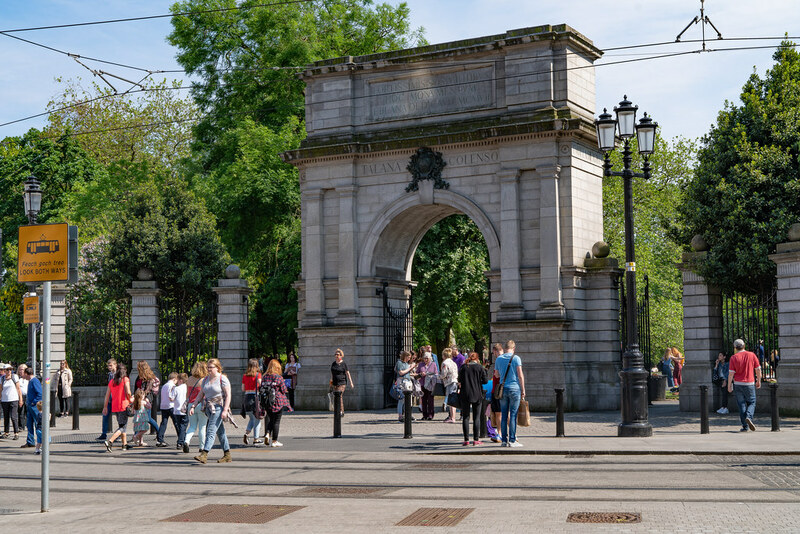 Though damaged in a cross-fire between the Irish Citizens Army and British troops during the 1916 Easter Rising, the arch remains one of the few colonialist monuments in Dublin not blown up in Ireland's post-independence history. 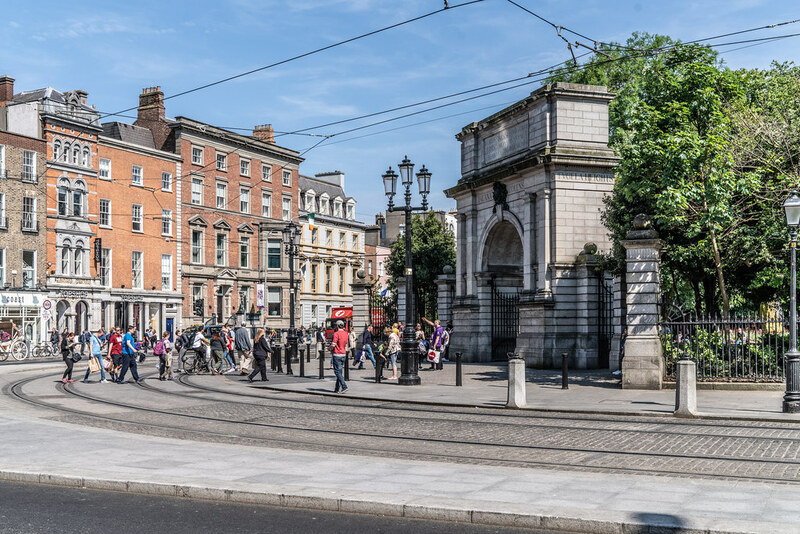 The arch was commissioned to commemorate the four battalions (two regular and two militia) of the Royal Dublin Fusiliers that served in the Second Boer war. It lists the principal battles and locations at which the fusiliers fought: Hart's Hill, Ladysmith, Talana, Colenso, Tugela Heights, and Laing's Nek. The names of 222 dead are inscribed on the underside of the arch.